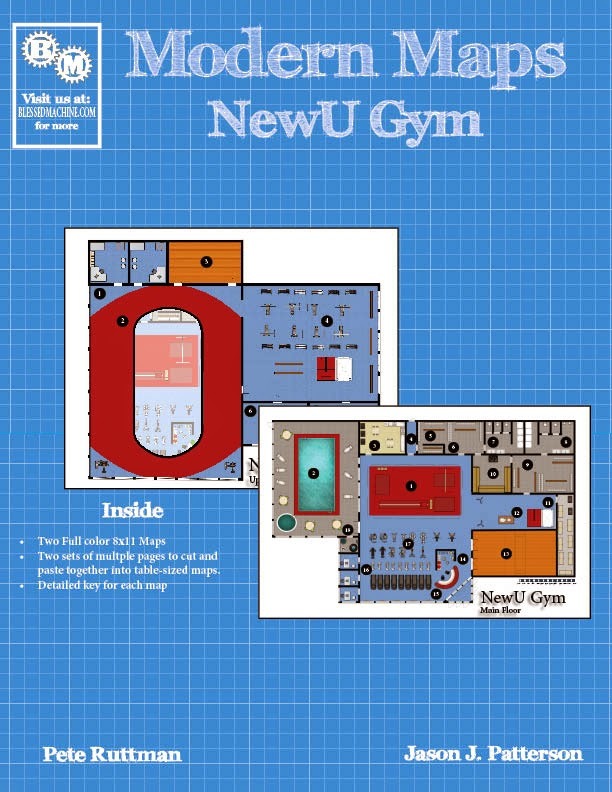 This product includes two 8x11 maps that detail the two floors to the NewU Gym as well as a detailed key for all the rooms in the facility. 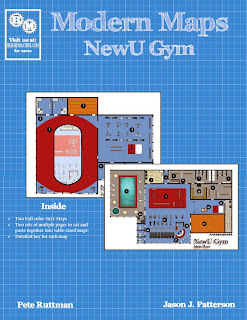 Finally, multiple page versions of the map are included that you can cut and paste together into tabletop maps you can explore and fight on. Enjoy!